Custom design has never been easier! We work with customer in our store, using prototype jewelry samples combined with a large digital inventory to begin the custom design process. 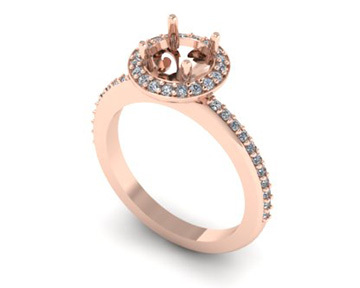 Then we perform real-time 3D changes to the design on screen and can generate an accurate estimate at any time and creates stunning photo-realistic images of the jewelry. Upon approval, the piece is then made and typical jobs take around 14 days.